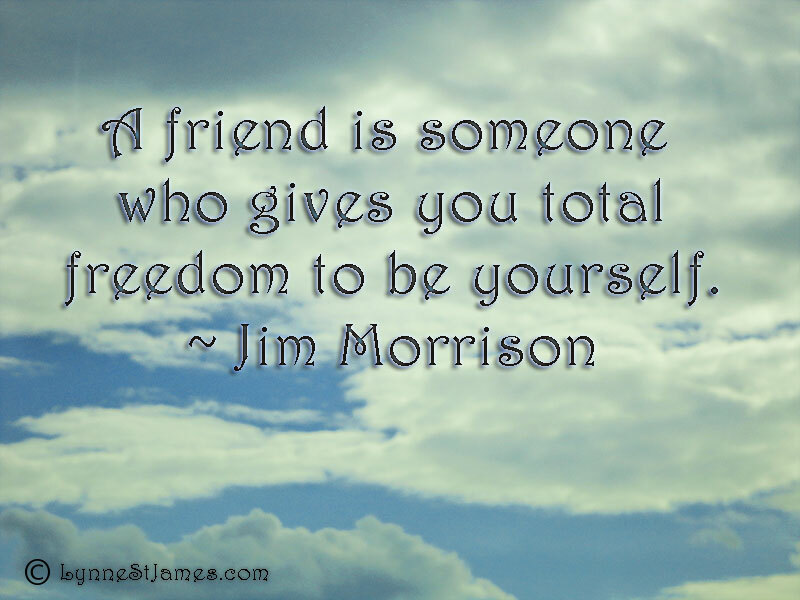 I just love this quote by Jim Morrison! I don’t think I could have found a better quote for this week’s Monday Quotes. As an author, I admit sometimes I can be a little out there. Having friends and family who support me, no matter what comes out of my mouth, is an invaluable part of my life. Their support enabled me to write my first book and to continue writing. They listen to the brainstorming, and I listen to them, we cry and laugh together, but most of all we support each other. I even have a few friends who would be Louise to my Thelma. Here’s to wishing love and support for all of you, and don’t forget to give back what you get, it’s always a two way street. Have a great week!